Maria Depina (Baptista) 106, passed away on November 23 at the Whidden Memorial Hospital. 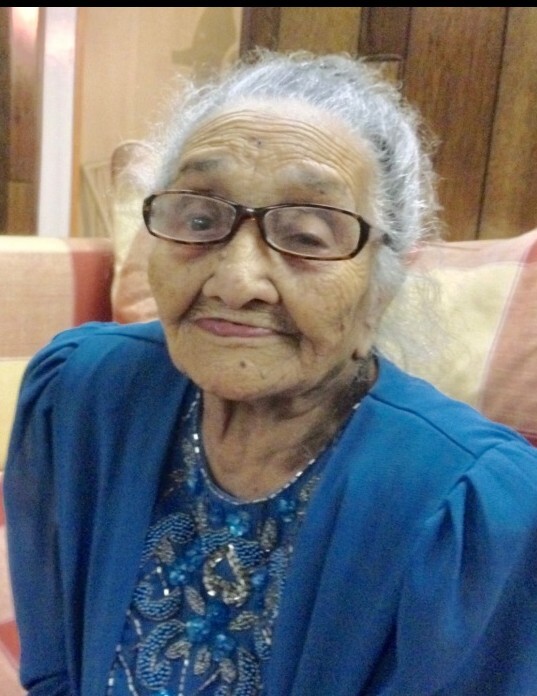 Maria reached the remarkable age of 106 with good health until the very end of her life. She was born on November 2, 1912 in Sao Felipe, Cape Verde daughter of Antonio and Maria da Conceicao Baptista (Rodrigues). Maria was the wife of the late Guilherme Depina and loving mother of Maria Pina of Everett, Maria Duarte of Kansas, MI, Helena Rodrigues Baptista of Everett, and Manuel Depina of Brockton. Funeral Services will be at the Malden First Church of the Nazarene 529 Eastern Ave Malden on Tuesday at 11am. Burial will follow the funeral services in Cambridge Cemetery 76 Coolidge Ave, Cambridge. Visitation will be held Monday November 26th at the Murphy O'Hara Funeral Home 519 Broadway Everett from 5 to 8pm.